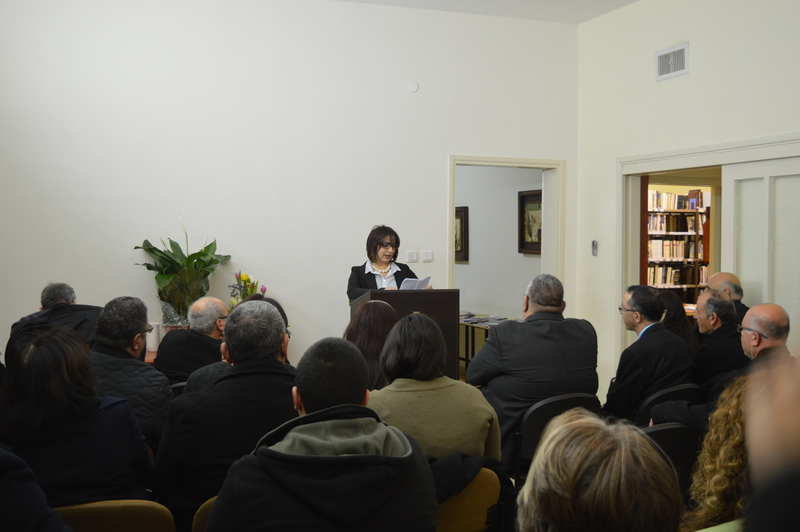 On January 17, 2017 Nazareth Evangelical College celebrated the inauguration of its library. 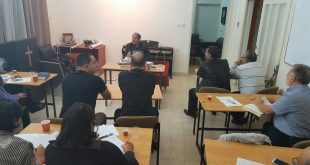 It is the first public Arabic theological library in Israel. 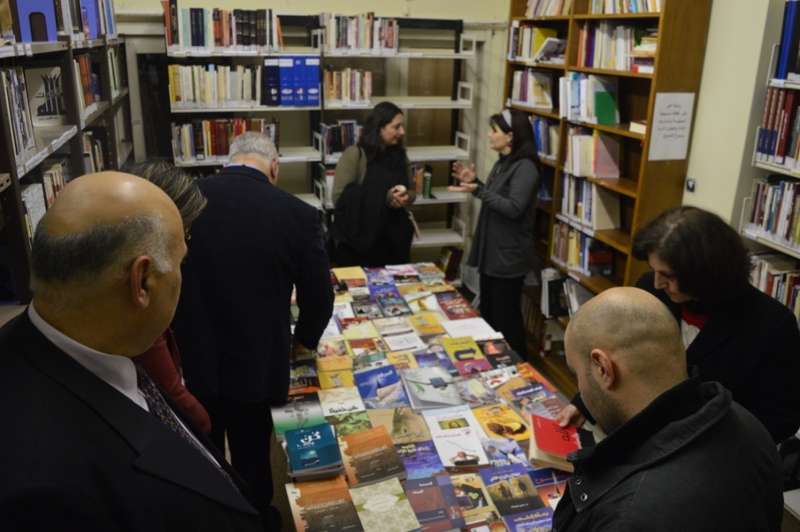 In addition to over 5000 books in English and a growing Hebrew collection, the library possesses a further 3000 Arabic books, among them many of the essential Arabic theological resources. 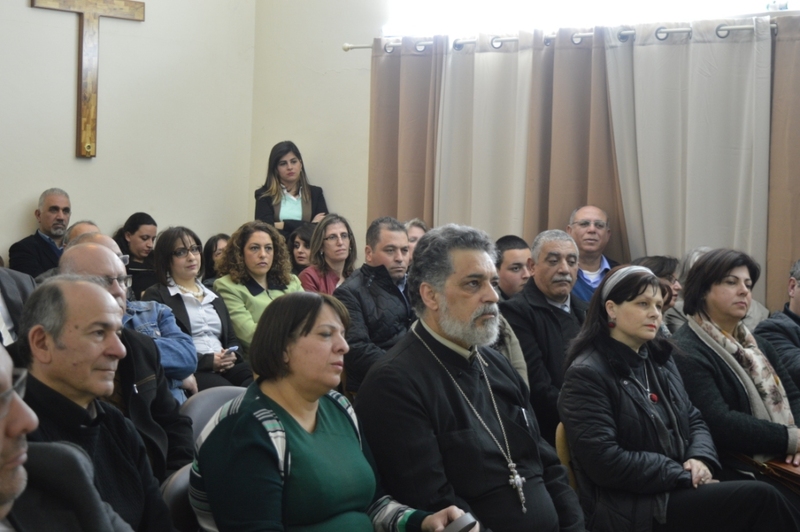 During the celebration, Rev. 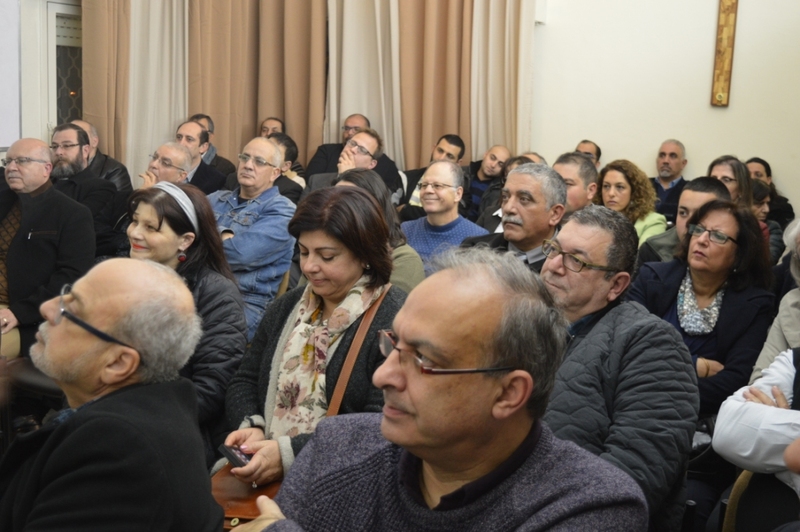 Azar Ajaj, our director of public relations, welcomed the audience and offered a prayer. 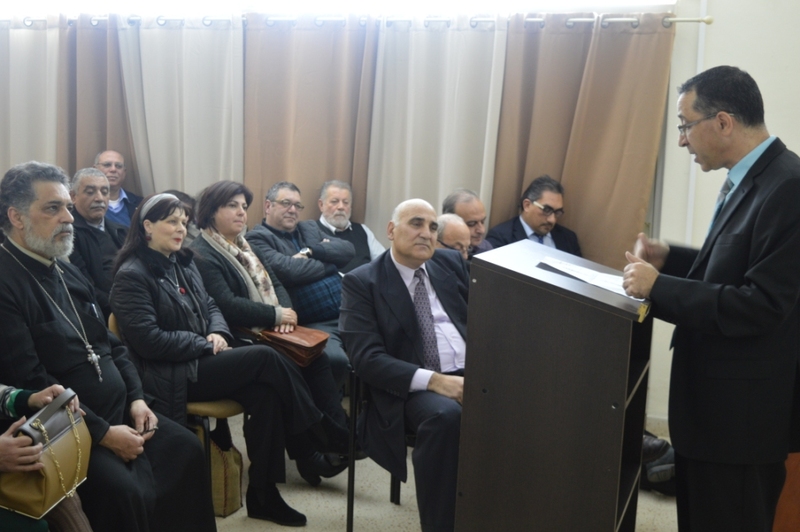 This was followed by a talk by May Ashkar, the librarian, about the vision of the library and the importance of impacting culture through Christian literature. 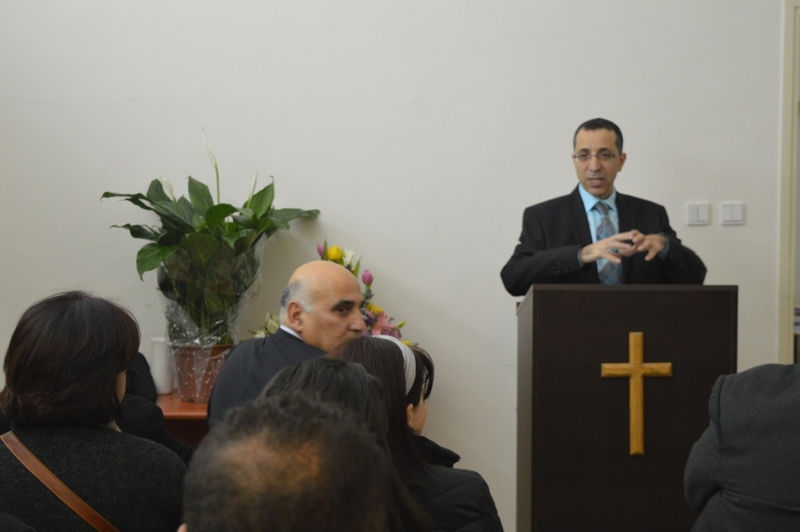 Botrus Mansour, the director of the Nazareth Baptist School, then introduced a new book written by Rev. 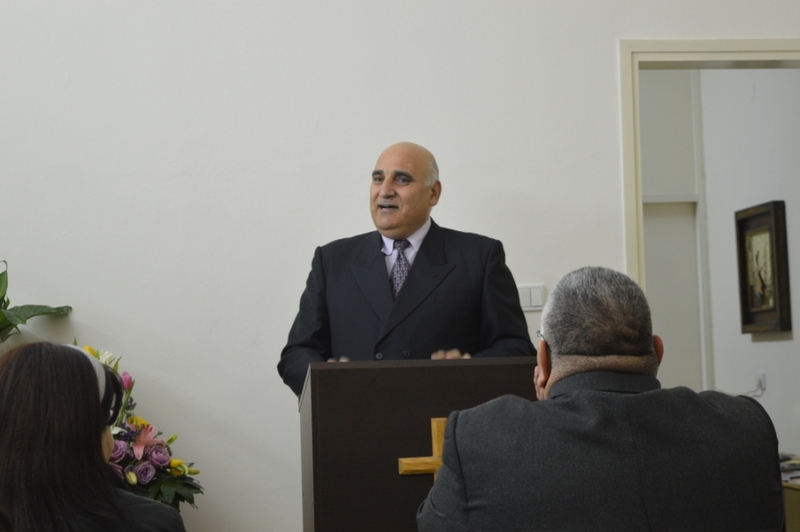 Dr. Yohanna Katanacho, the academic dean of Nazareth Evangelical College. Yohanna himself then spoke about some of the most important academic contributions the college has made. The master of ceremonies was Rev. Dr. Nabil Samara, our director of administration. He also gave the final speech, speaking about our plans to expand the library. At the end of the celebration new library cards were distributed and the visitors were treated to a tour of the books of the library. Our aim is to increase our Arabic resources by another 4000 books over the next two years and to make them available to the whole community. 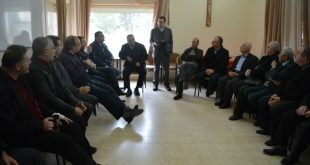 We still do not have all the finances necessary to fulfill this vision, so if you feel moved to help us, please simply follow this link http://www.nazcol.org/donations/.